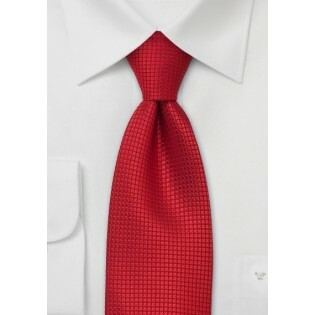 A somewhat different solid red tie by Parsley Luxury Neckwear. 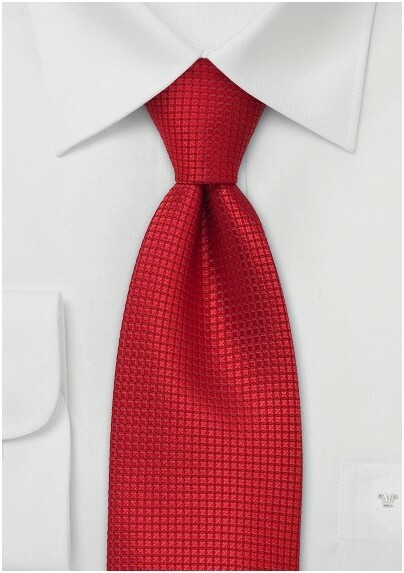 What makes this tie unique is the intricate fabric weave that adds interesting shine, more texture, and excellent drape to this tie. A truly stunning tie that suits any occasion and looks nice in any season. Although all the classic suit and shirt combinations will complement this tie we have picked the following outfit as our favorite canvas for this necktie: Charcoal-Gray suit, white shirt with fine light blue checks, and a bright red silk pocket square. Made from pure silk.